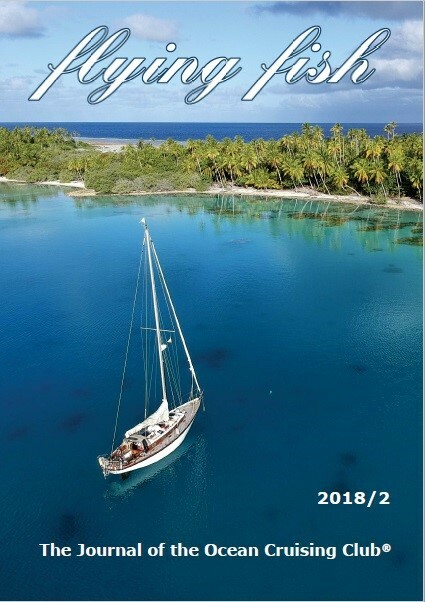 Flying Fish, published twice a year, is the OCC's flagship publication containing inspirational articles about our members' adventures and cruising destinations around the world. You may browse the article archive by Flying Fish edition and cruising area, or search it by keywords (e.g. article title, author name or place), using the dropdowns below. If browsing by edition you will be able to download a .pdf of the entire edition where one exists. Please note that we are still working on digitising past copies of Flying Fish and not all articles and editions are currently available in downloadable .pdf format. If you’re planning to write an article for a future Flying Fish, please click here for guidelines.